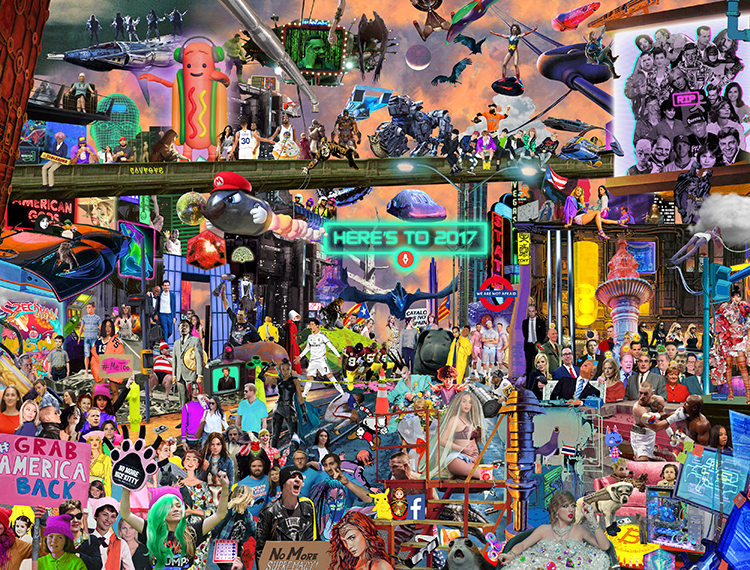 Thought we’d throw a little art your way today and highlight Beutler Ink who created the above mashup “Here’s to 2017,”a piece loaded with memorable pop culture news and references from this past year. Possibly a fun frame-able gift idea. Prints available to purchase from Society6. “2017 was a fun year for pop culture, from Stranger Things’ thrilling second season to Cardi B’s banging singles to the dancing hot dog filter that even your grandma loved. But it was an emotionally grinding year for news, as anyone getting push notifications from the Washington Post or New York Times can attest.